I think I am pretty well read as far as 20th century UK time travel books go, but oh, how nice it is to be proven wrong and to find a new author! "It's set in England, must have been published before mid-1970s because that's when I read it (I was 11 or 12 at the time so I suspect it was for upper-primary school level). The girl-protagonist was in the present; in an antique shop she found an old china-cottage pastille-burner (if you know what those are), but it only had a few pastilles left. She took it home and burned a pastille, which transported her into the past (from memory, 19th-C England). Because there was a limit to the number of pastilles left, she knew her visits to that time would have to come to an end (which was very poignant!)." And I had absolutely no idea. Happily I am a member of an online community called Girls Own, made up of passionate readers of girls books from the 20th century, and happily a list member recognized the book as The Other Face, by Barbara C. Freeman (1976). And also happily I live in a state that does not believe in aggressive library weeding, and lo, there was The Other Face still in the system, and it was good. When Betony was a child, her parents died and she was taken in by her two elderly aunts. Now that she's seventeen, she's had to leave school to be their caregiver...and slowly she is being ground down by their domestic tyranny. But a visit to her grandfather, the first since she's lived with her aunts, offers a respite....and he makes her welcome, as do her young cousins. And in the cupboard of her grandfather's art and miscellany shop she finds an old china cottage (the pastille-burner above--not something those of us in the modern US know anything about! It seems to be a type of incense whose smoke comes out the china chimneys...). And the smoke takes her back to the 19th century, where her ancestors need her. Betony lets herself be needed (it's what she's used to)...and takes on the job of a 19th-century serving girl (years of slaving for her great-aunts means this isn't too much of a leap of face). And there she meets the young botanist who will be her ancestor, who has fallen in love with an unsuitable girl....one who bears a striking resemblance to Betony. And things come out right in the end. Books really were shorter back then--this one has only 155 pages--but still it manages to fit in a lot of character, place, and story. And it is a fine example of a particular type of 20th century UK book for young readers that is so very recognizable (such as many books by William Mayne or Ruth M. Arthur). The reader isn't told what people are thinking and feeling in much detail, but must absorb things through the dialogue and the descriptions. I think that being a "reader as spectator" in this way can actually be more immediate and moving than being barraged with emotaional information from the main character, because there are never any jarring moments when you are asked to feel thing and think things along with that character that you just don't. Perhaps (reaching for metaphor, as is my wont) it is like entering a painting vs. going to the movies.....the result in the former being a reading experience that is simultaneously removed and distant from the main characters, while being utterly absorbing (if you are me). So basically, it's one that those who love mid-20th century UK girls books would love. 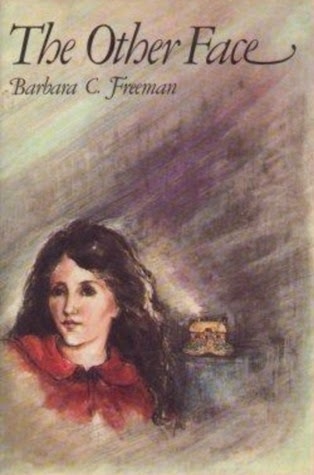 Which would be me, and I am very happy to find that Barbara Freeman has written lots of other books, even though only one other is still in the Rhode Island library system. There are also some nice pen and ink drawings of plants, a smidge of botany, and the prospect of a garden brought back to life right at the end. I like these things!